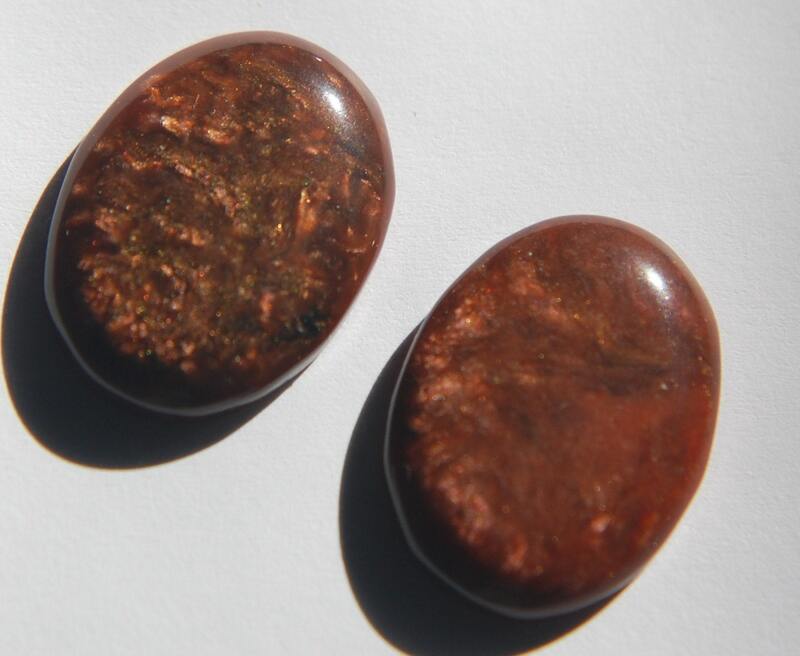 These are vintage plastic cabochons. They done in a metallic copper design. These have great shimmer in the light. They measure 25mm x 18mm. You will receive 2 of these.